FORT LAUDERDALE, Fla. (KFSN) -- The suspected shooter was apprehended in possession of a military ID with the name Esteban Santiago, law enforcement sources said. It has not been confirmed if the gunman is Santiago or if the suspect was simply carrying Santiago's ID. Authorities have not released the gunman's name. Israel said at this point it looks likely the suspected gunman acted alone. Israel said the investigation is ongoing and the scene is considered "fluid" and "active"; he added that reports of a second incident at the airport were later dismissed. Local authorities provide an update following Friday afternoon's shooting at the Fort Lauderdale airport. The airport said the deadly shooting incident was in the baggage claim area at Terminal 2, which was evacuated. The Broward Sheriff said on Twitter that a call was received around 12:55 p.m. about shots fired. Witness Mark Lea told ABC News he heard "what sounded like firecrackers" before people began yelling and "frantically running." Lea said he saw then saw a gunman who was "randomly shooting people." 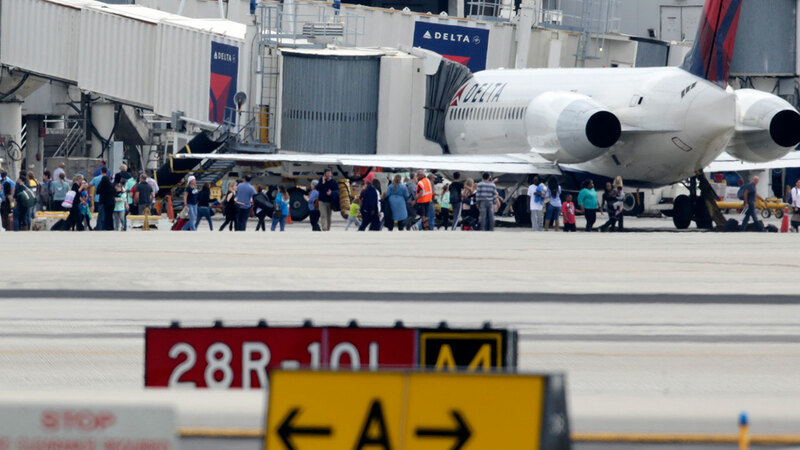 A shooter is reported to be in custody following a shooting at Fort Lauderdale-Hollywood International Airport. The gunman "went through a couple dozen rounds" before throwing the gun down away from him and "lying face-down and spread-eagle," waiting for officers to approach him, according to Lea. Lea said he helped some people run to safety and consoled several people on the scene. The U.S. Transportation Security Administration said the incident occurred in a public area, not a secure area. 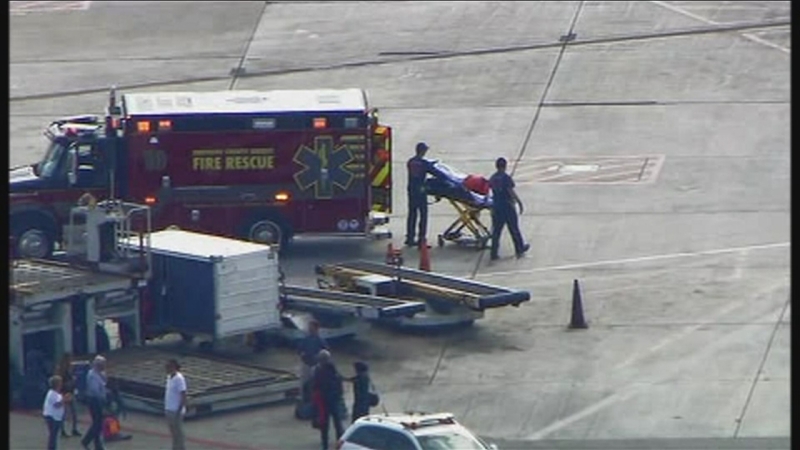 Confirming multiple people are dead, and a number of people were transported to a hospital from @FLLFlyer. Upper level of airport open. President Obama was briefed on the shooting, said National Security Council spokesperson Ned Price. Donald Trump tweeted about the incident, saying, "Thoughts and prayers for all."